REFOG Monitor can be used to monitor how your employees use their work-time and to log all textual data typed by them. this software download logs all applications running, all user's keystrokes and grabs screenshots. The program works in a stealth mode. It is not visible in the Windows Task Manager. 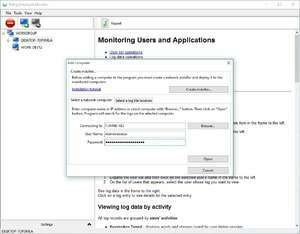 Employee Keylogger 5.18 is a shareware program and can be used as a demo to try the software until the free trial period has ended. A full version of the program is available after the trial period ends. For security reasons, you should also check out the Employee Keylogger download at LO4D.com which includes virus and malware tests. Additional screenshots of this application download may be available, too. REFOG Personal Monitor has a presence on social networks.